Everything about the Aji Amarillo screams summer to me. It’s such a beautiful chilli, in looks and in its flavour. Fruity, a touch tangy and with hints of raisins, especially when dried, the Aji Amarillo is quite similar to the scotch bonnet in flavour, but definitely nowhere near as hot. It is Peru’s favourite chilli pepper and its use dates all the way back to the Incas. 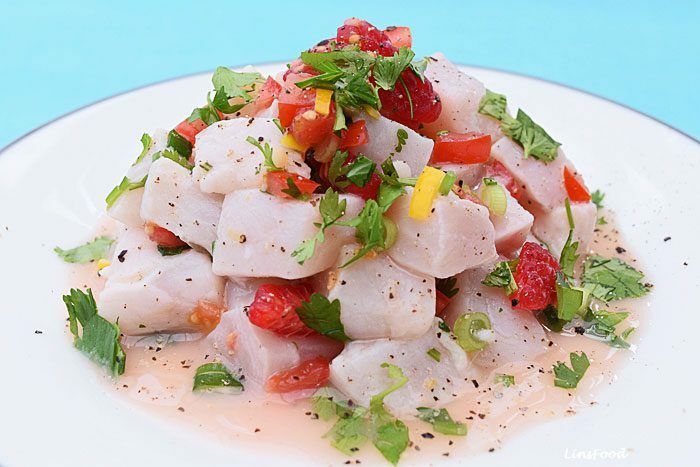 It makes an appearance in so many Peruvian dishes, from sauces, to salads to salsas and most certainly in ceviches! Outside of Peru though, they are not all that easy to find, although there are places in the US where you ought to be able to get them. But here, in the UK, unless you grow them, you cannot get your hands on the fresh stuff, even dried aji amarillo chillies are not always easy to hunt down online. Same goes for the aji amarillo paste. And that’s why I love growing them! They grow to be quite large too, about 15cm or so (roughly 6 inches), which is just as well, because of our rather rubbish summer, I don’t have as many ripe ones as I’d like! 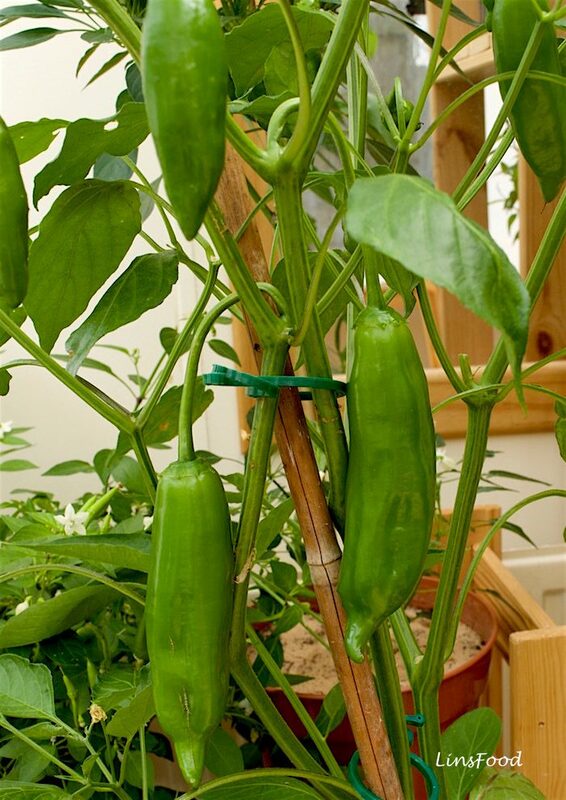 Oh yes, they start off green, as you can see from the image below, then turn a yellow (a couple of the chillies in the image above are yellow), then finally, a vibrant orange when fully ripe. What does Aji Amarillo mean? Somewhere about 30 000 – 50 000 Scoville units. So, hot but not too hot! As a comparison, the jalapeño is about 2 500 – 5 000 units on the Scoville Scale, which is mild! Put it simply, the Scoville Scale measures how hot a food is, click here to read more. How to Use the Aji Amarillo? As mentioned above, it is fantastic as a garnish and ingredient in salads. Aji Amarillo paste, which these chillies are made of, is an indispensable ingredient in any Peruvian kitchen. Sometime this weekend, I’ll be making it, which just involves blanching the chillies, skinning them and zapping them into a paste in a blender. I shall link the recipe up here as soon as it’s up! 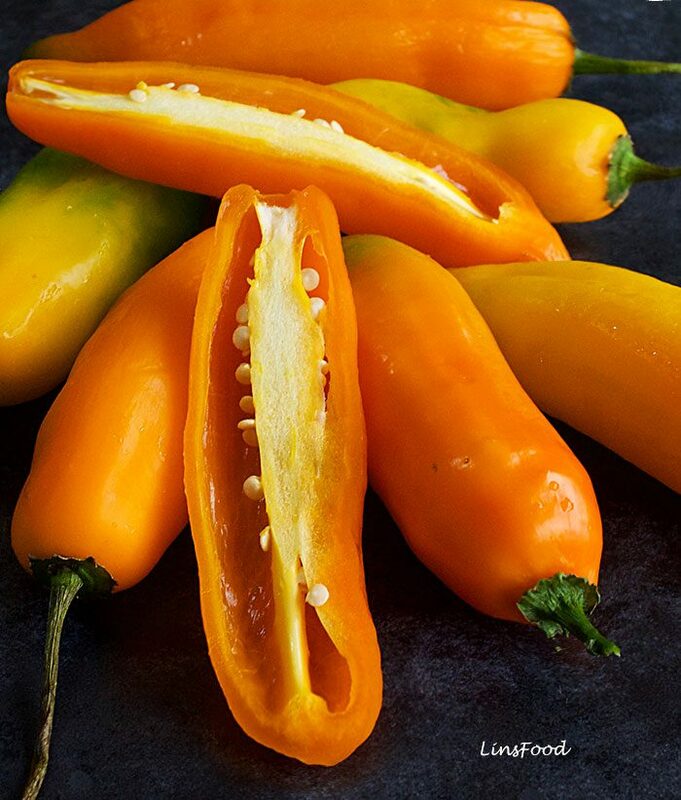 Aji Amarillo means yellow chilli pepper, and comes from Peru, where it has long been an indispensable ingredient.